Carnivals are celebration of life, within the society of a particular place or group of people. In fact most of the carnivals are annual or seasonal in nature, but has the year long effect on culture, art, economy and sociology. And, religion, tradition, spirituality, cultural root and humanity play a major role behind the carnivals. But one thing that we often neglect to give focus, is – food. Rather to say, Carnival foods. Foods, as well as beverages are an integral part of life; no doubt, it will be more than filler in any carnival. Let us have some appetizing view of Carnival Foods. See previous article on Rio Carnival HERE. See previous article on Notting Hill Carnival HERE. 1. King Cake – A must in celebration, which represents three kings, namely – Justice (Purple colour), Faith ( Green colour) and Power ( Gold colour) in forms of bright, glazed coloured sugars sprinkled on top of cinnamon flavoured ring cake. 2. 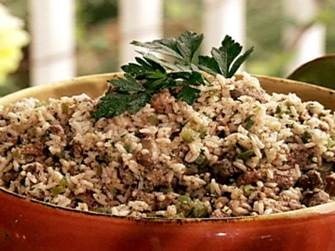 Dirty Rice – traditional dish made from white rice which gets a ‘dirty’ look, as cooked with chicken liver, giblets, green bell peppers, celery & onion. Garnished with parsley. 3. 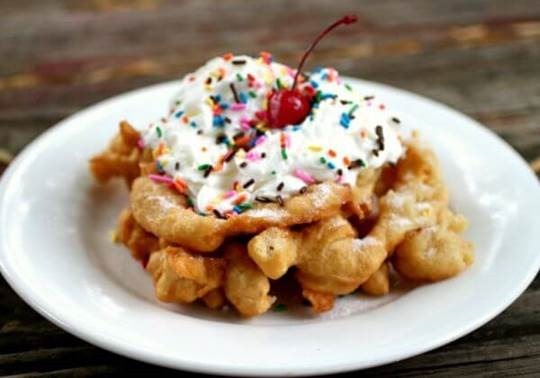 Funnel Cake – an interesting regional carnival food, made by thin cake batter into hot oil in a circular pattern, deep fried till golden brown. The batter is poured through a funnel, so it’s named. 4. Gumbo – though an all time thick soup made from shellfish and thickened with okra. It gets popularity with lots of variations during Mardi Gras Carnival. 5. Mardi Gras would be empty with out “The Hurricane”. Its a fruity rum cocktail which must be served on the rocks, in a glass, shaped like a hurican lamp. Its started by a bar The Pat O’Brien, which is printed on the glass. The glass acts a souvenir in carnival. 1. 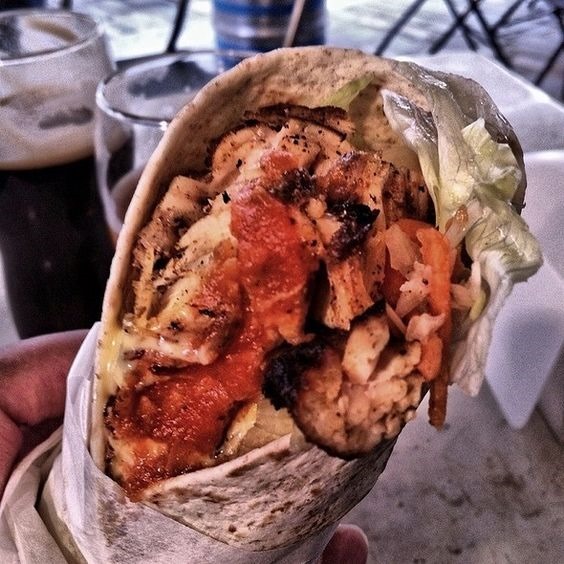 Jerk wraps – wrapped chicken, pork, goat, fish or even vegetables are popular. 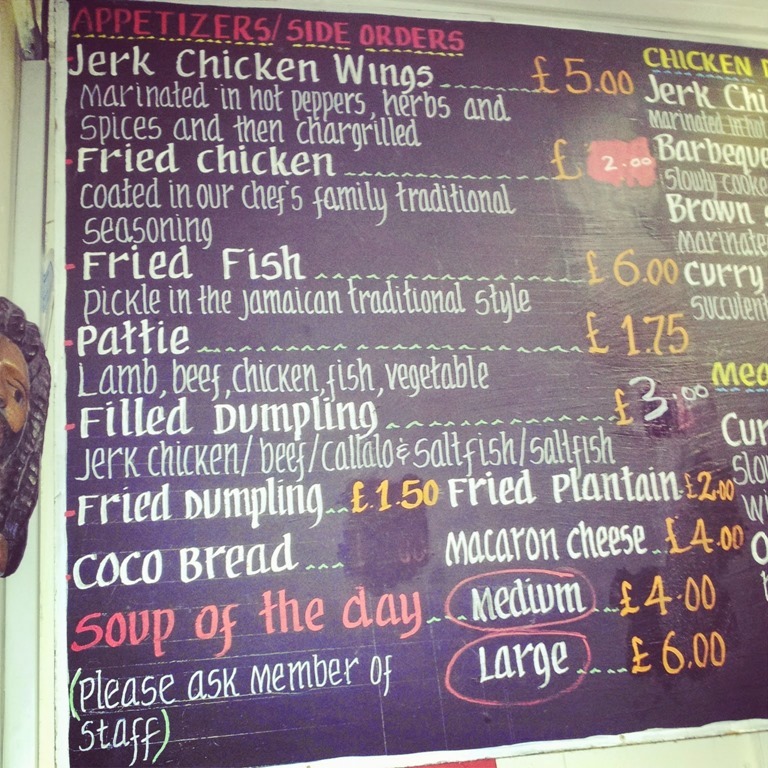 Jerk meats and BBQ are also found as accompanied by rice and beans. 2. 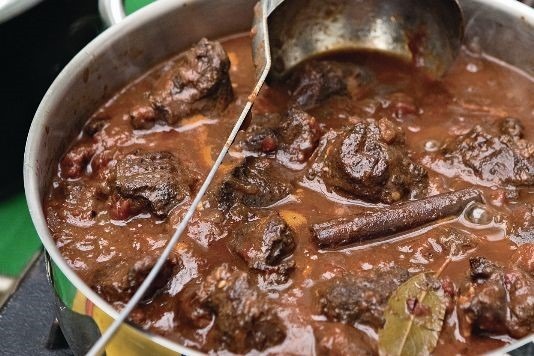 Curry Goat – popular party dish, goat meat slowly cooked in Indian flavours, mildly spiced. Some vendors add their own style of sauce for variations. 3. 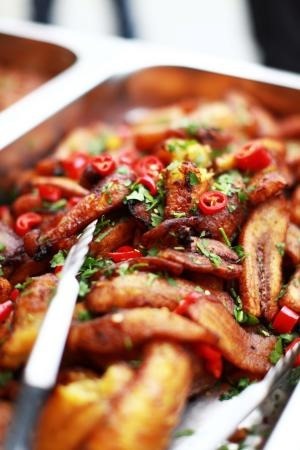 Fried Plantain – sliced plantains, deep fried in batter, which resembles fritters. These are sold either solo, as snacks, or as accompaniments. 4. 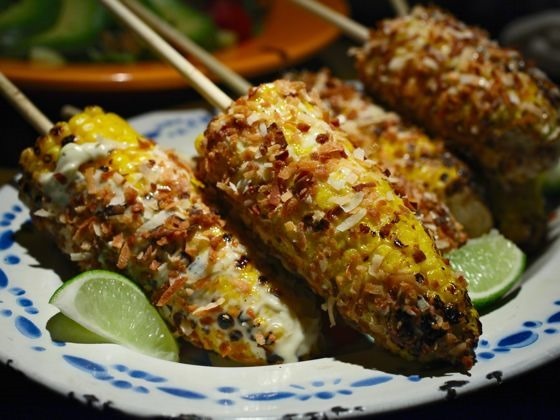 Jamaican Street Corn, also known as Caribbean style corn-on-the-cob – corns are grilled with jerk sauce, spices inside the husks, which are removed after grilling is over. They are finished with mayonnaise, seasonings and chopped coconut. It’s sure to please the taste of one!! 5. Among the beverages Rum, Tender Coconut Water and Guinness punch takes the lead. To make the punch, it is combined with whipped condensed milk, cinnamon, nutmeg, whipped in Irish dry stout – “Guinness”. 1. Pao de queijo – it’s a small, baked cheese bun made from tapioca flour (cassava Starch) and cheese “Queijo Minas”. It has a very cheesy-soft texture with a thin crisp crust. 2. 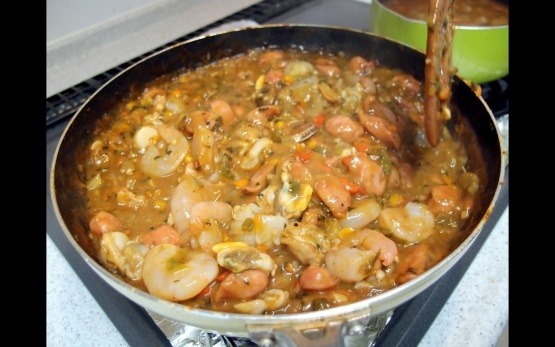 Acaraje’ – it’s a labour some preparation mainly with black eyed peas and shrimp. It’s a delicious Brazilian festival food described as Shrimp Fritters. 3. Feijoada – usually served with rice and assorted sausage, it may termed as black bean and meat stews. Salted pork, pork trimmings, bacons, smoked beef sausages, jerky beef are stewed for hours with added vegetables. 4. Not to miss the famous cocktail – Caipirinha; made with cachaҫa, sugar cane and lime, on the rocks. In carnival, a large amount is made and then served to individuals.